In a Special Education setting, behaviours must be taught, practiced and reinforced in order to maintain and generalize skills for different environments outside of your classroom. Keep it simple and expand when necessary, starting with these tips. 1. Establish a set of rules. Provide a visual of the rule you want your student to follow. 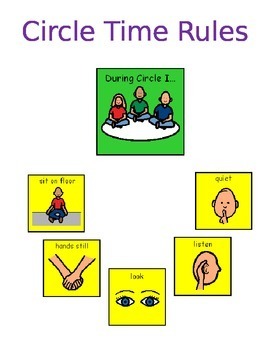 Simple picture communication symbols are great for lower learners, but real photographs of the students actually following the rule helps to demonstrate exactly what the good behaviour “looks like.” If your student requires direct teaching of certain behaviours, add these as a goal on the Behaviour page in their IEP. Try to think of behaviours that will benefit the student when they integrate to other classrooms. i.e. staying in their seat and listening quietly. Think about the future and where you see the student progressing towards. If they are displaying behaviours at a young age that wouldn’t be appropriate as they got older, try to conduct a change early. 2. Keep it simple and realistic.In a mainstream classroom, you might see a list of 5-10 classroom rules that are expected to be followed simultaneously at all times throughout the school year. In a Special Education setting, focusing on 1-3 rules at a time will allow for thorough teaching of the expectations, adult modelling and proper reinforcement to maintain positive behaviour for longer. Make sure that behaviour goals are realistic. It is NOT realistic for a child with severe ADHD to sit quietly and listen to a teacher for 30 minutes at a time. 3. Reinforce in a variety of ways. Allow students the opportunity to gain reinforcement in multiple settings in a number of ways. This will give a positive response for behaviour even when the student isn’t expecting it – resulting in an increase in acceptable behaviour all around. If you only reinforce “good sitting” behaviour in the student’s homeroom, the memory required to demonstrate the same skill in a different setting (i.e. science class) might not transfer for many of your students. A tally chart for specific successes throughout the day (i.e. 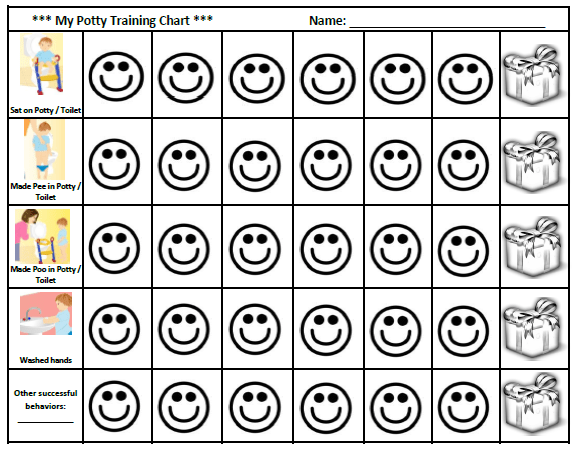 toileting tally – the reinforcement here would be pre-determined and something extra special that the student doesn’t normally receive). 4. Teach through rapid reinforcement and prompting. Just because a student sees a token board doesn’t mean they know how to use it or what it is for. Demonstrate good behaviour through adult modelling and use ANY and ALL good behaviour to reinforce quickly (like, every 15-30 seconds at first). This will teach the student that if they display certain behaviours they will get what they want. You can adjust later. Here is an example: Jane doesn’t want to colour, and instead only wants to play with play-doh. Colouring is the task and play-doh is the reinforcer. 1. Have Jane sit down at the desk in front of the colouring page and a marker. 3. If Jane does not pick up the marker, repeat the instruction. 4. If Jane still doesn’t move, you may have to place the marker in her hand. 5. Hand-over-hand prompt Jane to colour on the page (for a few seconds). 6. Immediately provide verbal praise and the reinforcement (play-doh). 7. After 30 seconds or so, take the reinforcer away and repeat steps 1-6.